This entry was posted on August 13, 2011 by Katrina Conquista. 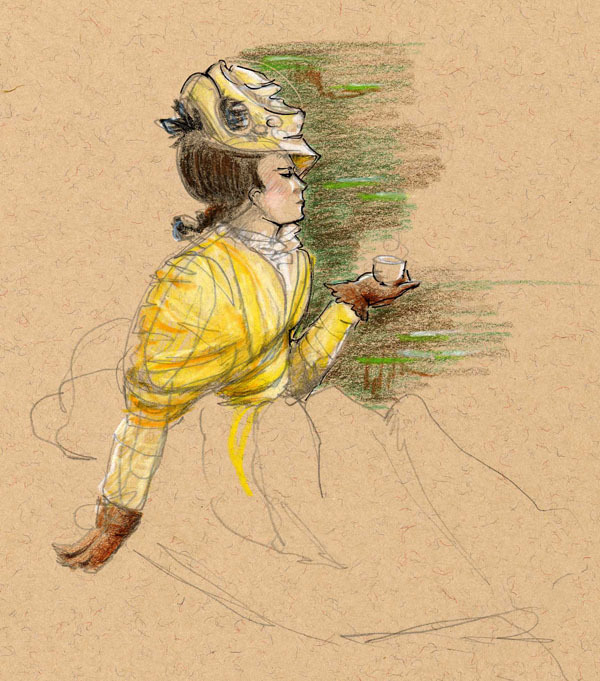 It was filed under Art, Fashion and was tagged with Art, corset, dress, Fashion, fashion illustration, girl, gown, illustration, Katrina Conquista, retro, sketch, tissot, victorian, yellow. this is a lovely drawing, yellow is usally difficult to work with if used in the wrong tone. It works very well with the small amount of green you’ve used. I love it!